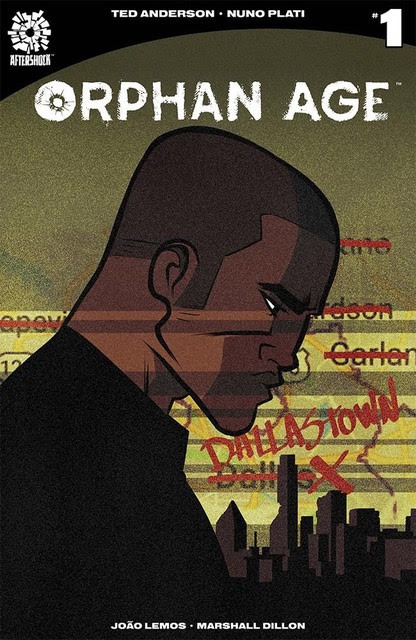 HomeComic PreviewsPreviews: Orphan Age, Hot Lunch & PATIENCE! CONVICTION! REVENGE! 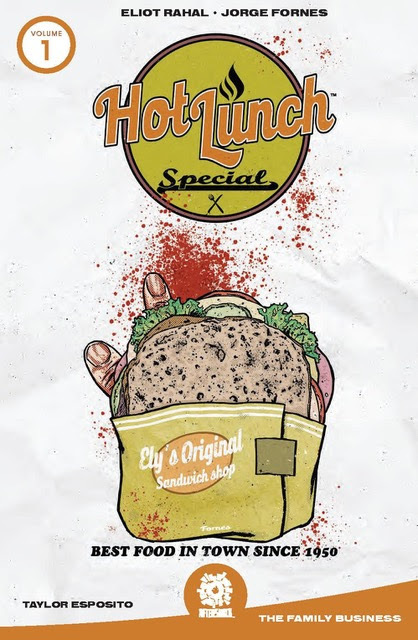 From Aftershock Comics, out this week is Orphan Age ‘#1, Hot Lunch Sprecial Volume 1 & PATIENCE! CONVICTION! REVENGE! Volume 1 – check out the details below! Now it’s twenty years later, and the children – all grown up – are still rebuilding the world. Horses and caravans are the only thin lines connecting tiny, scattered settlements. Gasoline is gone, phones long-dead, television a memory. The only power in America is the New Church, the religion of the angry children. In Dallastown, a stranger comes riding in, telling a story of escape from the New Church’s unstoppable Firemen. The Church is on the march, and the world might burn again – and the only hope might be a scared teenage girl, a gunslinger keeping his secrets, and a woman of few words and long knives. Welcome to the ORPHAN AGE. A midwestern noir series about family, food and the fight for survival. Unfortunately, the Khourys’ gains have been ill-gotten, and a branch of the Chicago Irish Mob has come back to collect a past debt. Fealty is demanded, shots are fired and long-hidden family secrets are fully revealed. Now Dorothy Khoury, the daughter of the family patriarch, is forced to unite her splintered bloodline and fight back. Volume 1 collects the entire Khoury saga, issues #1-5. Once an equal partner in a criminal syndicate that rules Las Vegas, he now lives in a shack in the desert. But the shack has a workshop, and Renny’s been busy. It’s time to march his robot army into the neon hell of a cyberpunk Las Vegas and retake his seat at the table. Old friends better run, because Operation: PATIENCE! CONVICTION! REVENGE! is underway. 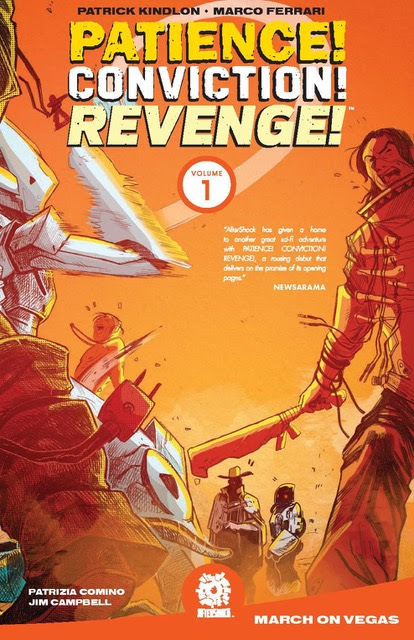 Volume 1 collects the entire irreverent series, issues #1-5.